What the blog post doesn't mention is that some of the "insanely low rates" for calls to the rest of the world have gotten a bit more expensive. We can't speak to all of the country rates, but the rates for calling Jamaica have certainly gone up recently, and earlier in the year there were reports of rate hikes for calls to Pakistan and other countries around the world. 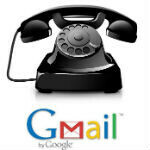 Maybe that's how Google can afford to keep calls to the US and Canada free through Gmail. Google must bring this feature to its Google talk app. You don't always have access to a desktop computer. Calling rates are very much effected by the toll charges the country charges carriers for accessing their country's phone system. That's why neighboring countries may have wildly differing rates. I don't think Google is charging extra for some countries to subsidize free calling for others.